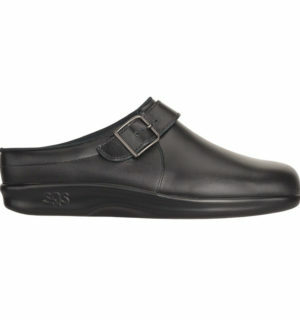 Clog is your ideal shoe for running errands or relaxing around the house. SAS CoolSTEP™ foot bed keeps your foot dry and comfortable all day long. SAS Tripad® comfort system and SAS Cradlefit™ heel keep you completely supported throughout your routine. 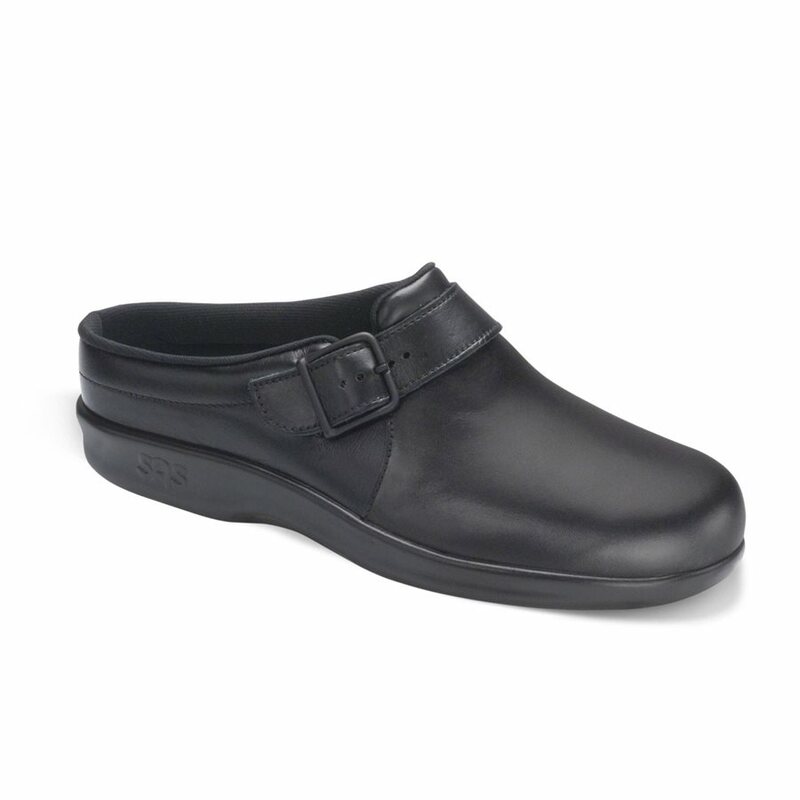 Try Clog and experience comfort and support that keeps up with your day. Heel Height: 1.00″. 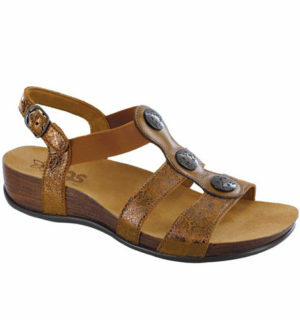 This item features a removable footbed. Designed to fit and mold to the shape of your foot. Made on an exclusive SAS foot shaped last. 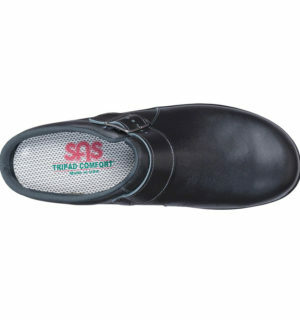 SAS Tripad® comfort cushions providing long-lasting all day comfort. Initial fit should be wide enough to stay very comfortable across the ball of the foot yet roomy enough in the front so the toes are not cramped. 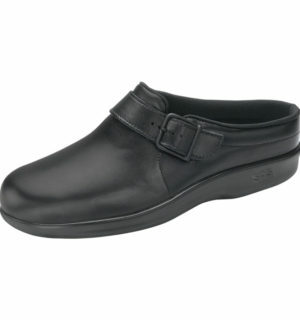 The heel should fit gently inside the heel area and be cushioned by the collar while walking. SAS CoolStep™ Footbed: Our CoolStep™ removable footbed is designed to keep your foot dry and comfortable all day long. The anti-friction top cover inhibits heat providing a cooler surface underfoot. 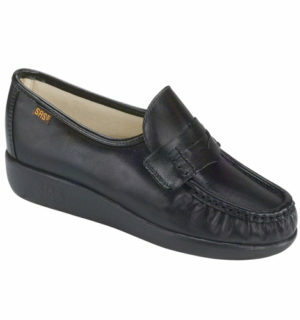 The bottom layer wicks away moisture while cushioning each step. 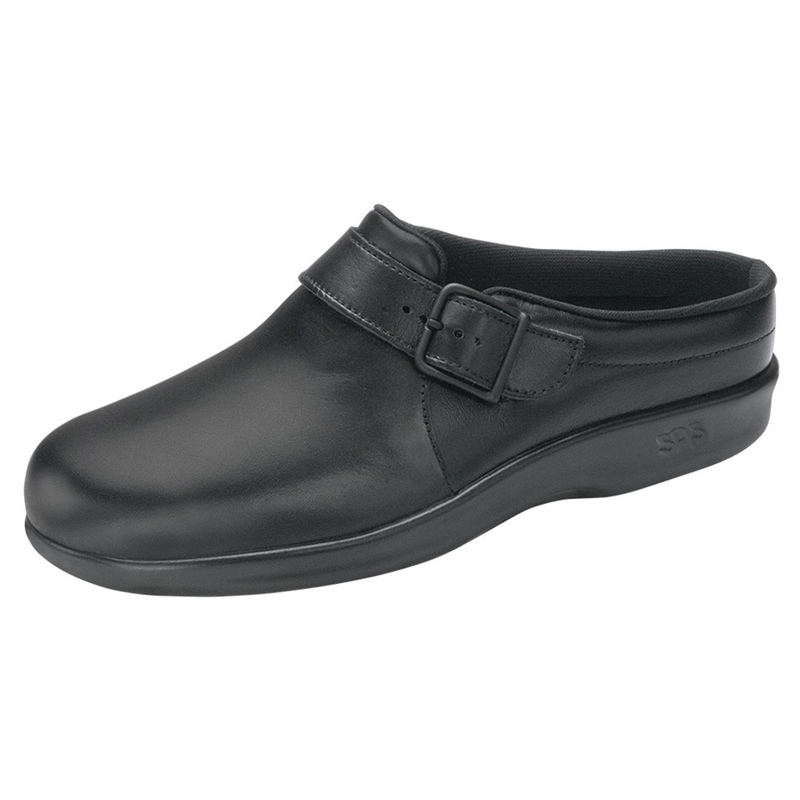 SAS CoolStep™ footbeds are antibacterial and washable for a healthy foot environment. 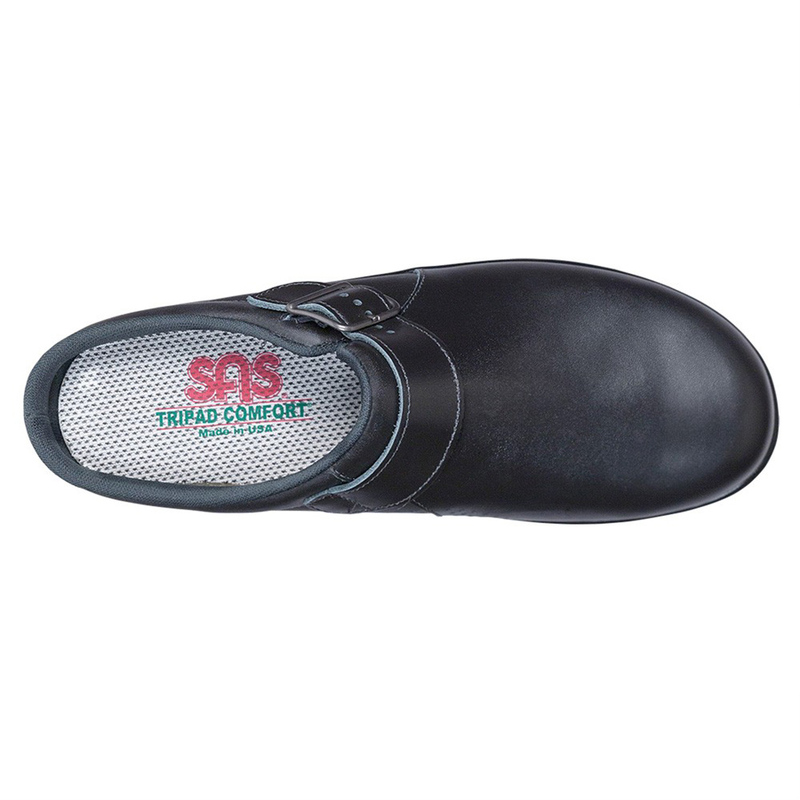 SAS Tripad Comfort®: Our green odor-resistant tripad cushioned insole provides superior comfort to the three pressure points of your foot: the inside ball, outside ball, and the heel. The material used will never lose its shock-absorbing capacity. 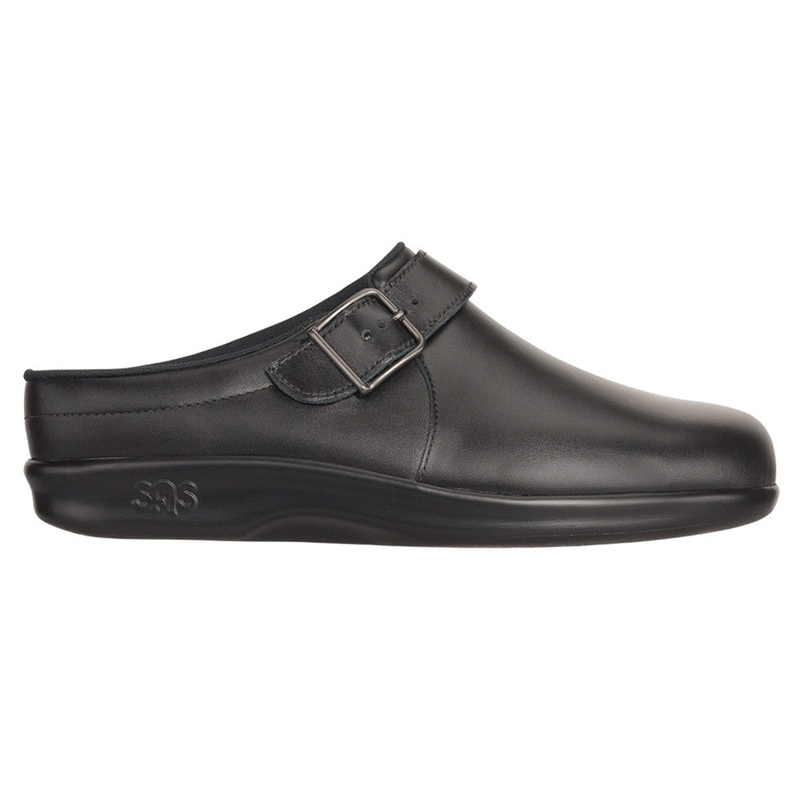 SAS Cradlefit™ Heel: Specially constructed to cradle your heel and cushion your foot during your routine walking cycle.